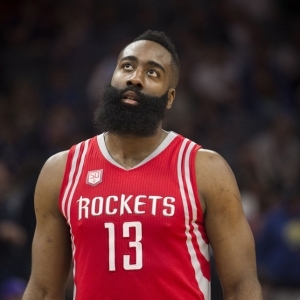 James Harden had one heck of a season last year, but it wasn't nearly good enough. They beat Oklahoma City in five games in the first round - something that will be much tougher to do this year than it was last year. But then they lost four of six games against the Spurs and were blown out in three of those games. They knew their window wasn't going to stay open forever, and they knew they weren't going to beat Golden State as they were, so they had to get aggressive. And they did, shipping away a good portion of their future to land Chris Paul. It was a bold move, and it isn't without risks, but if it pays off it could really be impressive. And no matter what, it is going to be fun to watch. Houston was not boring by any means last year - a team with both Harden and Mike D'Antoni could never be boring. But this year will likely make last year seem dull - whether it works out as planned or not. We'll talk plenty about Paul, but it only makes sense to start with the move that they didn't make. The team made indications that they were looking to add another player - Carmelo Anthony being the most obvious and most talked about - but in the end they couldn't or wouldn't pay the required price. The Warriors and the Thunder have three stars carrying the way - or four in the case of the Warriors. Houston now is committed to having two and a solid supporting cast around them. They just have to hope that that is enough, because if it's not it will be the kind of decision that will haunt them forever. Paul and Harden are buddies, and they have been hanging out often and publicly this summer. Chemistry isn't a concern. But it doesn't guarantee anything. Neither guy has great success reaching great heights with another superstar. Harden and Dwight Howard won't be exchanging Christmas cards, and though Paul got along better with Blake Griffin, they certainly didn't reach their potential together. Now Harden and Paul need to work together and need to figure out how to share the ball when both would prefer to have it themselves. It's far from doom and gloom, though. The most important factor is that the two guys have chosen to play together. This isn't a situation where two guys are thrown together and forced to find a way to make it work. They like each other, and they know that each other, and their chemistry, gives them the best look at a title that either guy has had. And both guys love to pass, and they will not only have the other guy to pass to but also a pretty solid, deep lineup full of guys who can slash and who aren't afraid of an open shot. Plus, they have a coach in D'Antoni who is going to be so excited to have weapons like this that he'll be sure there are plenty of opportunities for everyone. I really like Trevor Ariza on this team, and I am bullish about what center Clint Capela will be able to do with the added opportunities he'll get with Paul on board. And Eric Gordon is the defending Sixth Man of the Year winner. It's a very nice lineup with one exception - power forward Ryan Anderson. He's ridiculously overpaid, and he's a guy who can shoot but doesn't bring too much else to the table. He's the weak link in this roster. Paul was obviously the big addition, but the team didn't stop there. To shore up a perimeter defense that could use the help they added both P.J. Tucker and Luc Richard Mbah a Moute, who is only 31 but seems like he has been in the league for 20 years. Both guys are very nice adds, and they are going to really help. The Rockets had to give up a lot of players in the Paul trade, but they are better now than they were last year - even beyond just Paul. Despite winning 55 games and being a real contender, this team was not a pleasure to bet on - or against - last year. They were 42-40 ATS, and the over had a mere 41-40 edge on the totals. There is no way to make long-term profits with numbers like that. I love when teams gamble in a big way, and I think the Rockets have managed to do that while at the same time addressing some of Harden's issues and giving him help so he isn't so rundown in the playoffs. Anderson is a major concern, but aside from him the roster is strong, and I am a big believer in the coaching. The team isn't as good as the Warriors - not by a wide margin - but they are probably second best in the West. Paul needs to stay healthy, which hasn't always been easy for him, but if he does, and Harden does as well, then this should be the team that plays - and probably loses to - the Warriors in the Western final. Anything less than that would be a disappointment, though given how brutally-tough the conference is, that is certainly possible. AMAZING offer - Doc's is offering $60 worth of member's NBA picks for free - no obligation, no sales people. Try one of our NBA handicappers picks free now. Also, for a limited time only get three top NBA handicappers for the price of one! Click Here . Get free NBA basketball picks today at Doc's Sports basketball predictions page .